Perma Paver Coat creates a deep penetrating barrier coating which protects and improves surfaces by - bringing out richness in the colour of tiles, stones, slate etc. It provides a protective barrier on porous surfaces which resists chemical attack and - eliminates dusting. 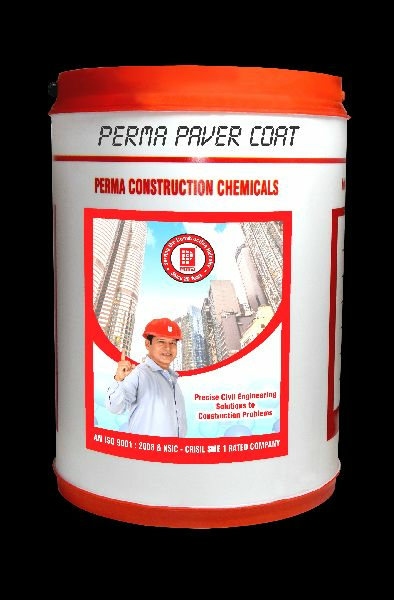 Perma Paver Coat penetrates the capillary structure and provides a tough and clear protection. Perma- . Paver Coat is UV resistant. Paver Coat on curing forms a glossy film. Paver -Coat is resistant to oil , grease and stains. Paver Coat is free from water. Paver Coat can be applied by even unskilled laborers.